Medianews - Omega Group’s tobacco factory is deliberately deprived off the opportunity to pay taxes – Omega Group releases the statement"
Omega Group has released a special statement regarding the controversy of its tax arrears and the problems of its payment. As the company says in the statement, senior authorities, both from parliamentary majority and executive branches, have been stating that Omega Group was evading taxes. “The purpose of such statements is to downplay the unlawful activities revealed as a result of the scandalous audio recordings released by media, which were carried out against Omega Group by the governmental authorities and people having close contacts with them. We should emphasize that as the released audio recordings have shown, it was the government which manipulated with the accrued taxes and the issue of their postponement, so the Omega Group’s tobacco factory is deliberately deprived off the opportunity to pay taxes”, - says the statement. 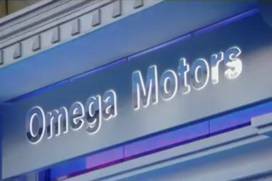 Omega Group has also denied the statements by the governmental authorities, who allege that the company had not submitted its schedule of tax payment to the relevant tax agencies, adding such statements are as true as the assertions that Omega Group is not subjected to governmental pressure. “Today, we want to publish the official letters sent by the founders of Omega Group, its companies and their British Investor, David Heath, to the Prime Minister of Georgia, Mamuka Bakhtadze, Minister of Finance, Ivane Matchavariani, the former chief of the Revenue Service, Giorgi Tabuashvili, the Vice Prime Minister of Georgia, Giorgi Gakharia and business ombudsman of Georgia, Irakli Lekvinadze. We should make your focus on the fact that eleven letters of this content were sent to those persons only in August 2018. Proceeding from the fact that Omega Group is the British investment (in particular, 55 million pound investment was made in Georgia during the past seven years), 14 letters were additionally sent by the British Embassy to the Ministry of Finance and the Revenue Service in the same period; we no longer mention the application on tax restructuring submitted on the 25th of April, 2017 and the correspondence we have had with the Finance Ministry since then. We want to stress that it is evidently stated in each correspondence with the official structures that OGT would pay up to 10 million GEL to the state budget including the current and delayed taxes from September 2018 by the end of the year. 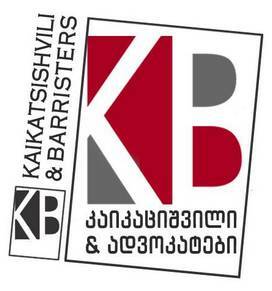 Nevertheless, even in case of debt restructuring, the OGT’s previous taxes would be frozen until 2020, in the above said letter we offered to the government that from September 2018 until the end of 2020, OGT Company would cover 20 million GEL from the tax arrears, 11 million of which would be the tax itself and 9 million would be the penalty”, - the company statement says and adds that the company received no reply from either Prime Minister, Vice Prime Minister, Finance Minister or the Revenue Office. 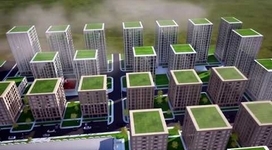 “It should be noted that Georgia’s business ombudsman, Irakli Lekvinadze has given a recommendation to OGT debt restructuring, however, the Ministry of Finance ignored this recommendation as well. 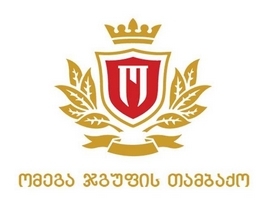 The unsubstantiated and unlawful refusal of the Finance Ministry of Georgia to issue excise marks to the tobacco factory, deprives the company off the opportunity to operate and leaves the application on tax restructuring submitted 18 months ago without response, the penalty accrued on the company’s accounts is increasing daily and exceeds 1 million GEL a month, while the state budget has already lost over 5 million GEL to present as a result. We should also define that Georgia’s Public Defender has officially addressed the Ministry of Finance and requested the withdrawal of documents on tax restructuring submitted by Omega Group’s tobacco company and the information about the restructuring commission. Omega Group Tobacco has sent its official consent to the Ministry on handing over all requested documents to the Office of the Public Defender, whose absolutely legal request is still being ignored by the Ministry of Finance”, - Omega Group’s statement says.